I'm surprised there's no thread as well (unless people are discussing it in the Z4 thread - haven't looked recently). The styling...I would say it's "pretty good"- which these days means I don't hate it, lol. I think I could love it; would just need to see in person to be sure. The hood looks to be artificially tall, which I don't like. And I'm definitely not a fan of the fake air vents on the doors (wtf?) but otherwise, could be good. Overall, I'm at a loss as to why it's so heavy and why it doesn't have more power. For the price (and the weight) it should have more power. It looks very busy to me - over-styled, I would say. The FT-1 concept was wild but styled pretty well. This just looks like they squashed the FT-1 concept into a taller, narrower shape and called it good. It does have some nice angles - I like the head-on view - but I'll have to see it in person to see if it actually works in real life. I'm happy as hell it's not another CUV, SUV, truck etc. 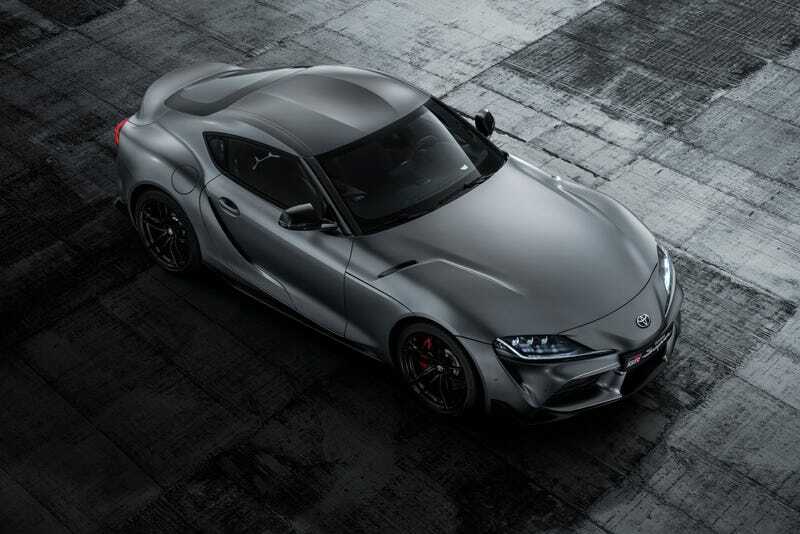 Kudos to Toyota for having the balls to make it, with or without BMW's help. What does Honda/Acura offer that competes with it again? I think it is ugly but not enough to say I hate it. Betting it will have success. Just wish Honda had something similar. I like it and look forward to see one in person. Here's to hoping Toyota follows through on their comment of manual gearbox potential in future MYs. I like the way it looks frankly. Very few cars ever really hit that perfect mark like say the FD, but this car is nice to look at and has great proportions. I am disappointed that the vents are fake, which to me sounds like a future track oriented model may be in the works like how the C7 has fake vents until you get the Z51. The lack of manual is kind of a bummer, but maybe I'm getting old and while I care very much about it, I find myself caring less. Roads around here in the bay area is full of traffic, hills, terrible lot entrances, etc, and I am no track junky weekend hero driver. People say that it takes away the connection to the car, hate to break it to alot of you but if you switch off traction control in most cars and hoon it most of you'd be dead. If they had automatics as good as modern DSGs in older cars, I think alot of the stigma of automatics would've been gone. In general and on principal, hard to knock a sports car.....but a manual gearbox is required for me and the styling, though I don't dislike it, is far too busy for me. Yet kudos to those who brought it to life. My most serious lament....what does my beloved Honda/Acura have in the works to offer? ^with our luck Honda will team up with Audi and sell us a disguised Audi TT. I think there would be much less hate for this if they simple called it SR-Z or whatever. Calling a new car by a very fondly remembered name is never good.